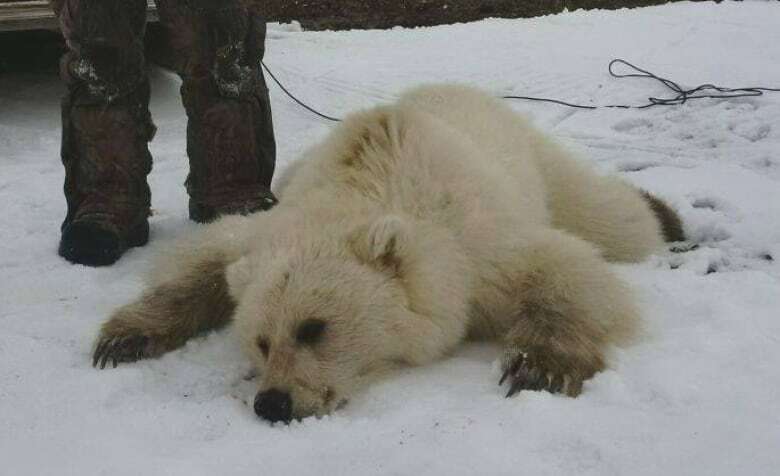 DNA analysis has confirmed that an odd-looking bear shot and killed by a hunter in Arviat, Nunavut last month wasn’t the offspring of a polar bear and a grizzly bear — it was a blond grizzly. It turns out an odd-looking bear shot and killed by a hunter in Arviat, Nunavut, last month wasn't a hybrid of a polar bear and a grizzly bear — it was a blond grizzly. The hunter, Didji Ishalook, described the animal as being shaped like a grizzly, but with the colouring of a polar bear. "It turned out to be a grizzly half-breed," he said at the time. But Nunavut's Department of Environment (DOE) has confirmed that the "unusual" bear is not a hybrid. "DOE submitted a tissue sample to a genetics lab for DNA analysis in order to verify the ancestry of the harvested bear," Carrie Harbidge, an environmental education specialist, told CBC News. "The DNA lab concludes that the animal was a blond grizzly bear, and it does not have a polar bear parent. Therefore, the harvested bear was not a hybrid." "From people on the ground, in the field, it was somewhat obvious that the results would come [out] that way," says Mathieu Dumond, a wildlife manager for Nunavut's environment department. "I think the excitement of a few hybrids found in the western part of Nunavut and in N.W.T ... got people carried away a little bit." 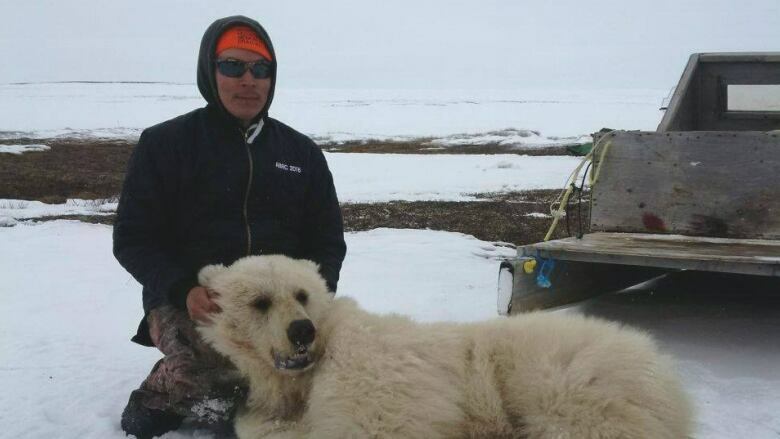 Ishalook had consulted with elders in Arviat before concluding the bear he'd shot was a mix. At the time, CBC News also spoke with a Minnesota-based leading bear expert, who concurred. Nunavut's environment department says this 'unusual' looking bear is a blond grizzly bear and not a grizzly-polar bear mix, as some first believed. (Submitted by Didji Ishalook)Dumond says that's why it was important to verify the assessment with genetic testing, especially since there have been two or three confirmed cases of grizzly-polar bear mixes. "It's so rare that unfortunately I think nobody has a lot of experience in identifying a hybrid from the first sight." Blond grizzlies are far less rare, he adds: "While it's not maybe the most common colour for the fur ... it's not something extraordinary. Every year we see some that are blond."